The tablet revolution is coming. It has partially entered the US and Europe but not at its peak yet. We remember a time when suddenly cheap smartphones were being produced all over the world. Now smartphones are so cheap that literally any one can afford them. The same is now happening in the tablet industry. There was a time when only Apple produced the $700 iPad. However, now there are companies that are making very cheap tablet PCs. The quality of tablet PCs produced by these companies is not bad at all. In fact, many companies are making excessively cheap tablet PCs by keeping the profit margins low so that they can compete in the already tough market conditions. The prices of tablets are going to fall even more once new technologies in this field are discovered. One of the few companies that have given the advantage of producing low cost tablets for its users is Amazon. Amazon has come up with Kindle Fire that is a very conveniently priced tablet and is available only for $199. Kindle fire made broke all sales records of amazon’s previous products by selling millions of units is the initial few weeks of launch. This popularity of the Kindle Fire has also led Amazon to launch different modified versions of this tablet that will be in the market soon. Kindle fire is an amazing tablet for a low end user providing all the basic features in a tablet. However, the only problem is that the operations of the tablet are hampered while the owner is outside US. Then you cannot download any Amazon apps or access its features. However, you can use the apps that you have already downloaded to the Tablet. This makes the tablet very hard to use for people who want to buy it outside USA. Many people are looking for ways to get the tablet apps up and running even outside the US. Use Kindle Fire with VPN! 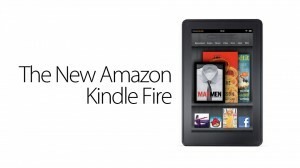 There is good news for all Kindle Fire users outside US! They can now download any apps or use amazon apps as they are usable in the US by just purchasing a simple VPN connection. A virtual private network hides your IP address and replaces it with one of USA. In this way the amazon server does not know that you are actually outside US. They consider you as a US resident and thus allow you to have unrestricted access of the services. In this way, by using a VPN, you can have complete functionality on your Kindle Fire. There are a number of VPN service providers who will give you a VPN connection for your Kindle Fire tablet. However, you must remember that all of these service providers do not always offer the best services that is why it is necessary that you only choose the service that is the best. To save you from trouble of examining the packages of every other VPN service provider, we have compiled a list of VPN service providers that are currently the industry leaders and are considered as the best by their users. Do check out these packages and let us know how you found them to be!